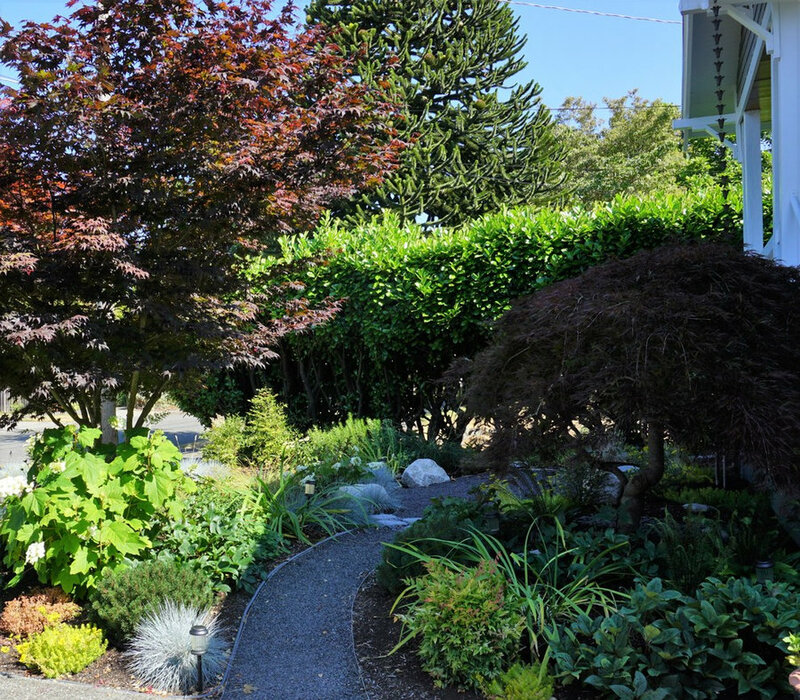 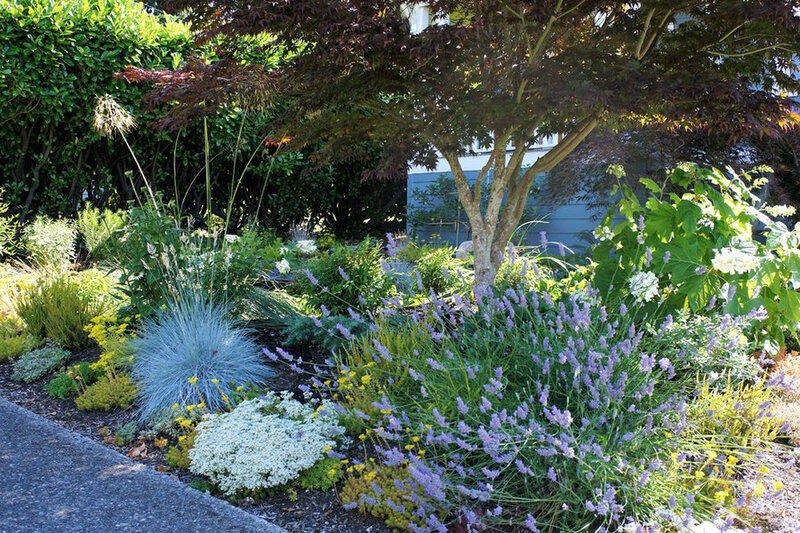 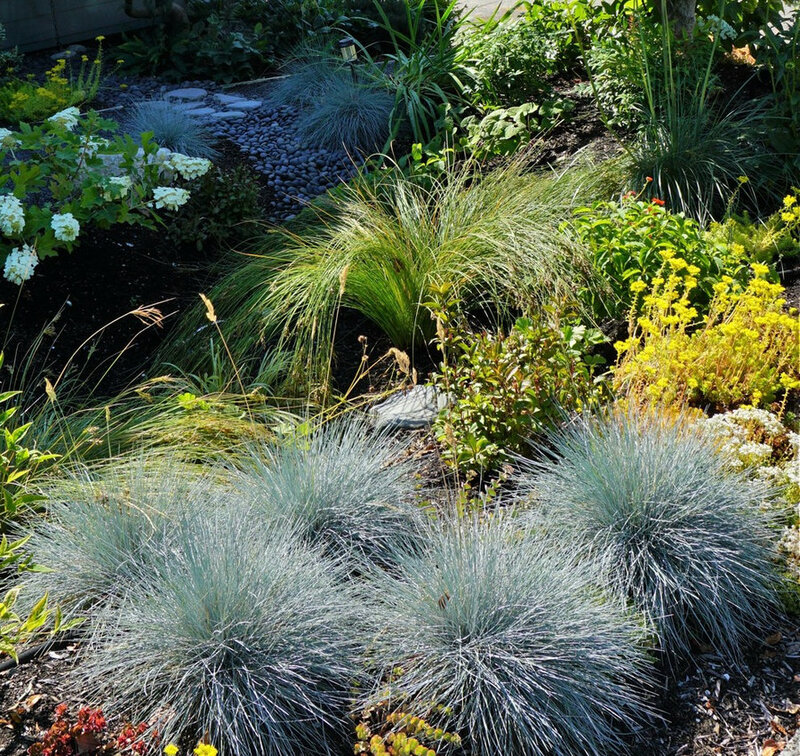 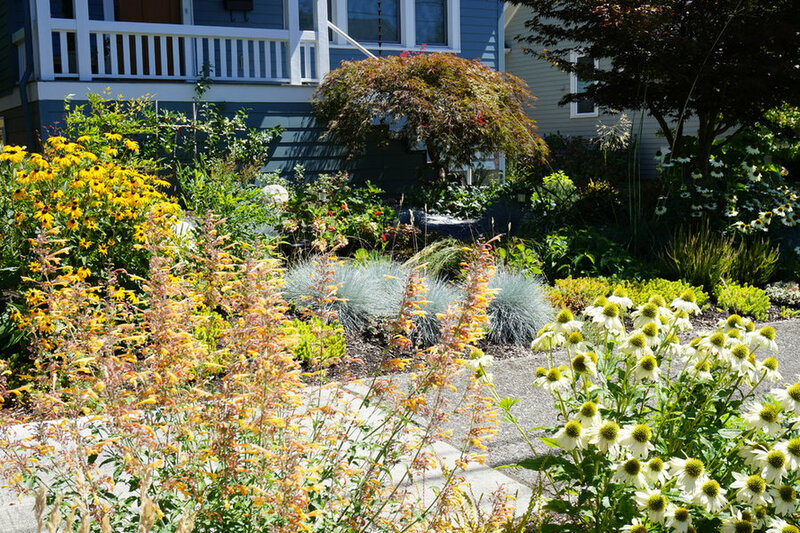 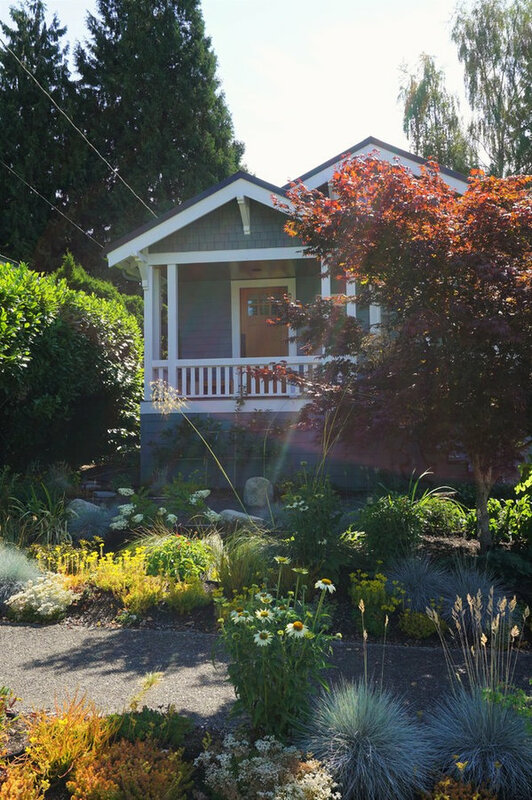 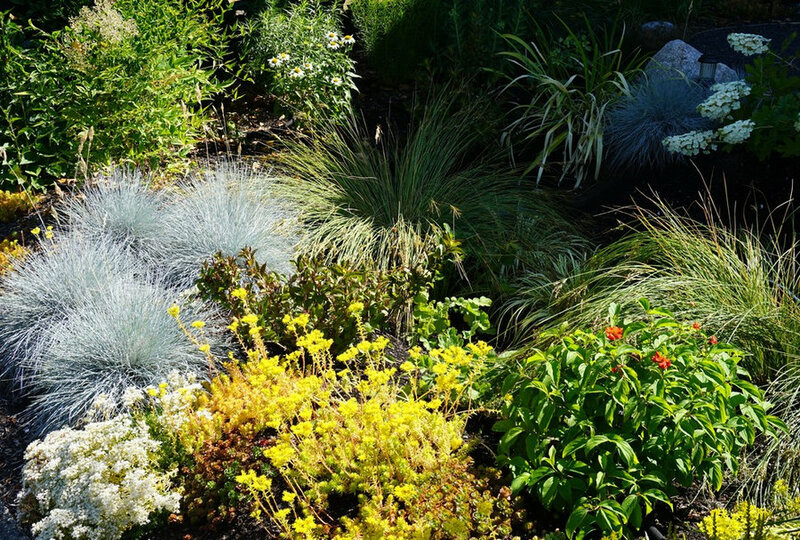 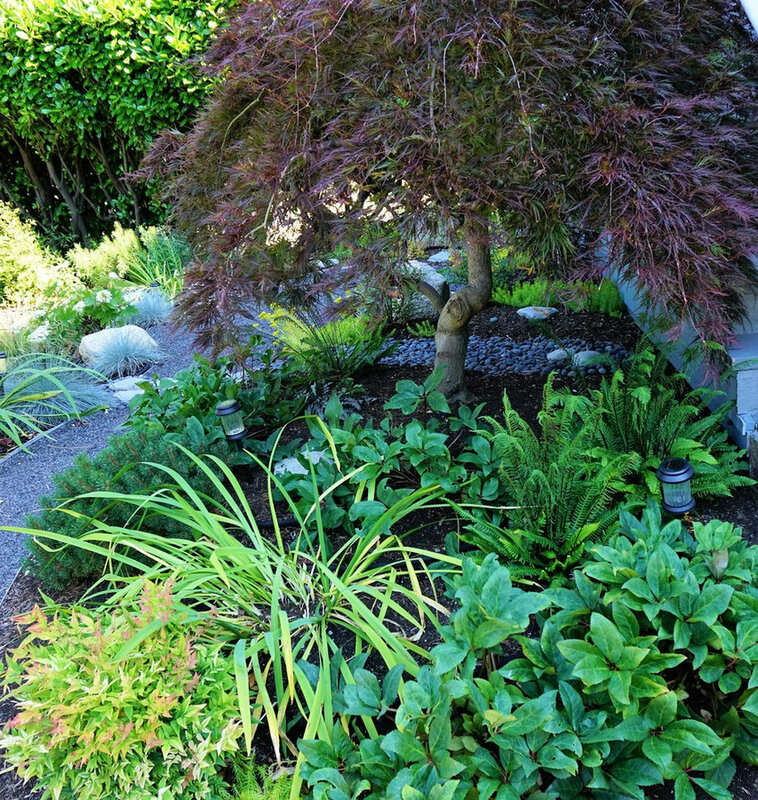 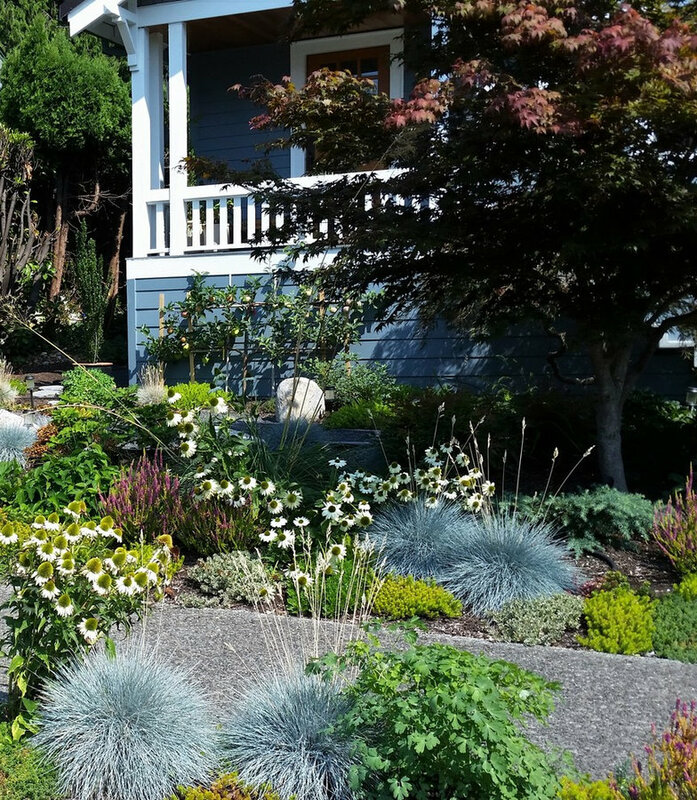 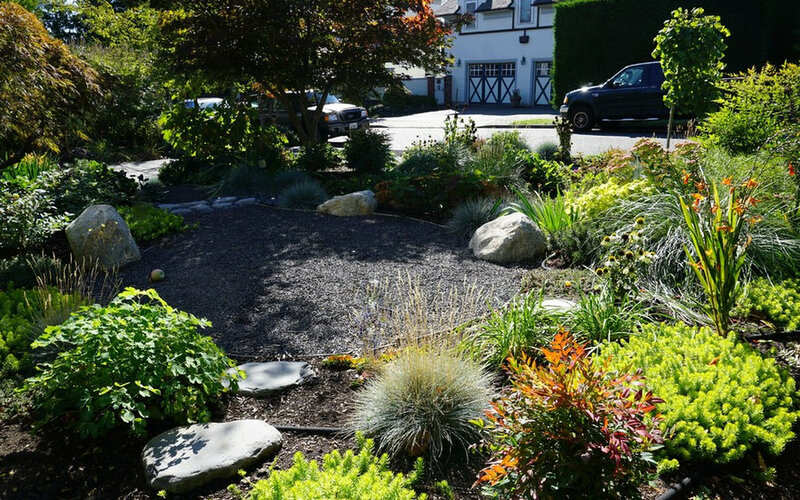 This family is dedicated to a sustainable lifestyle and wanted a garden to match. 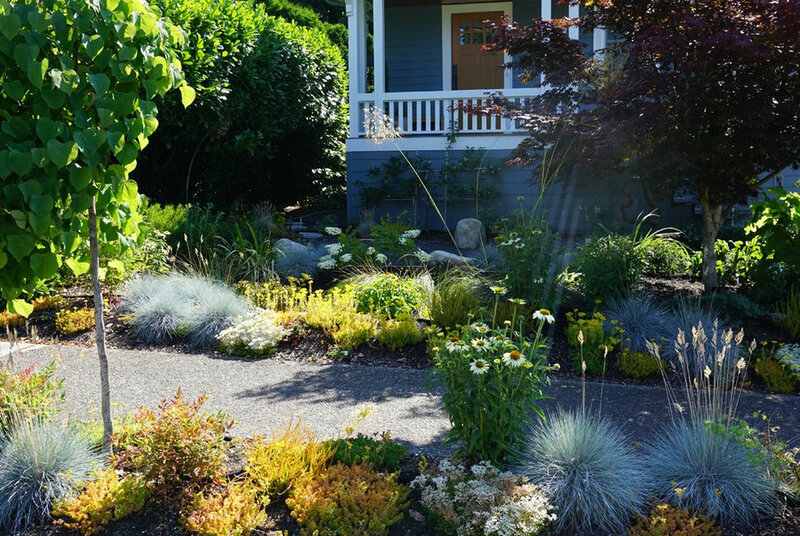 They didn't want to sacrifice beauty for function so we came up with a rain garden to capture and filter their stormwater while also supporting loads of colorful grasses, shrubs and perennials (not to mention all the birds and beneficial bugs who visit the garden). 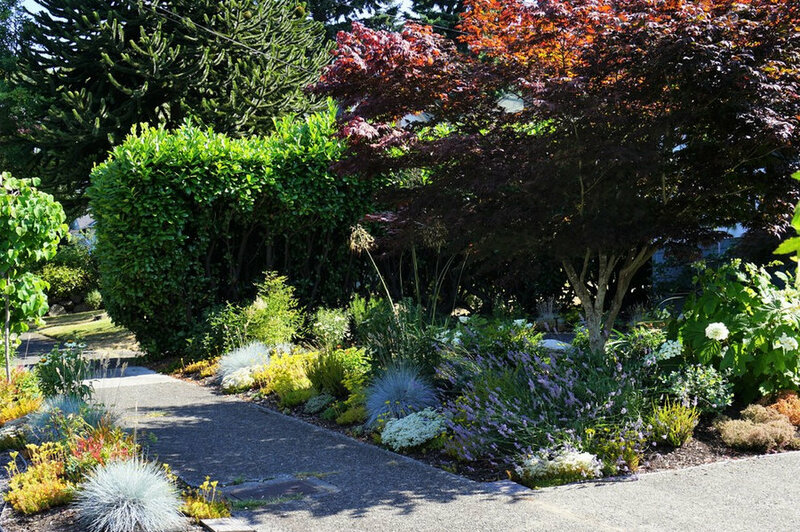 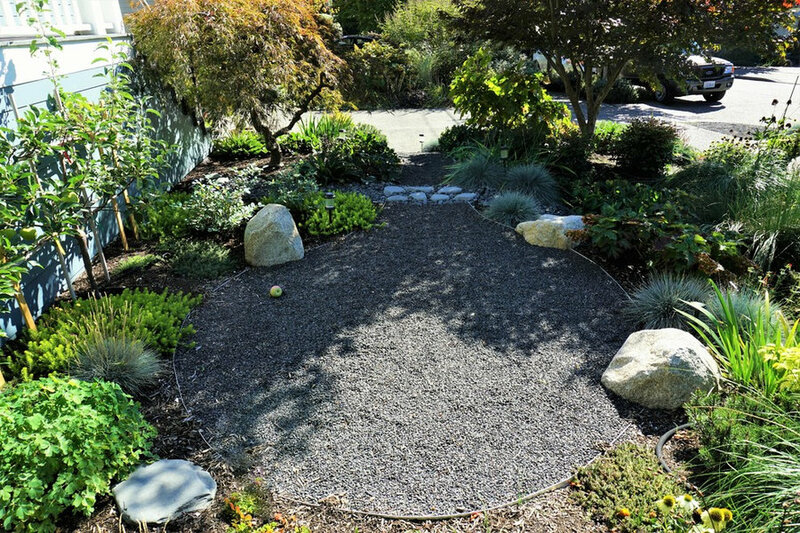 The lawn was removed to make way for a gathering space with boulders for sitting, a few edibles, and lots of color and texture for year round interest. 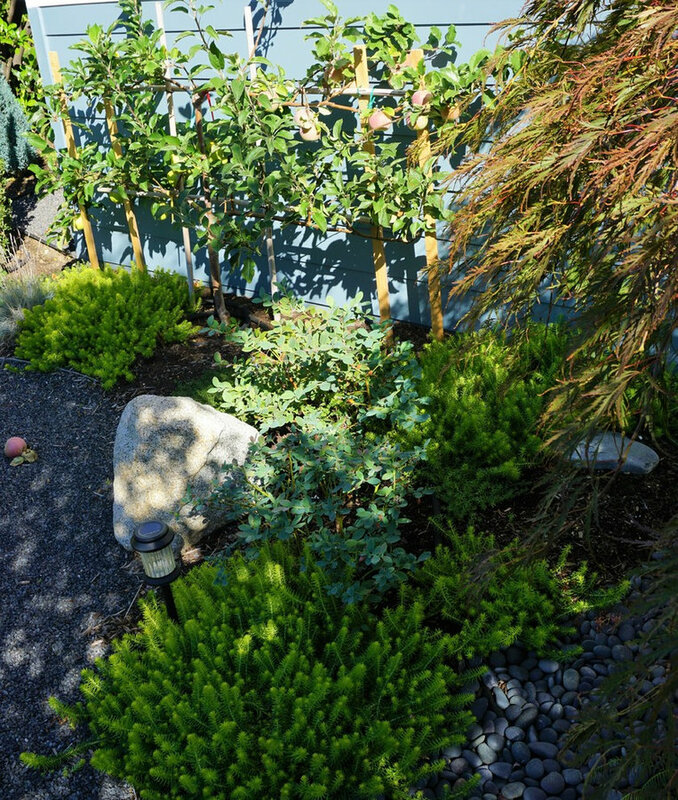 The family did all of the work themselves and the garden rewards them with a bounty of fruit, and a beautiful place to visit with neighbors and enjoy the sunset.